This music is loved everywhere we have ever played it. From an extra-ordinary songstress who has graced the Long Dance several times, these 4 beautiful songs are prayers that you will recognise from some of the deep ecstatic prayer moments from our ceremonies and dance floors. 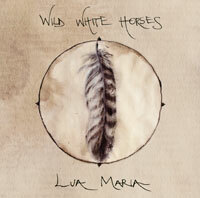 This is Lua's first EP - more to come!